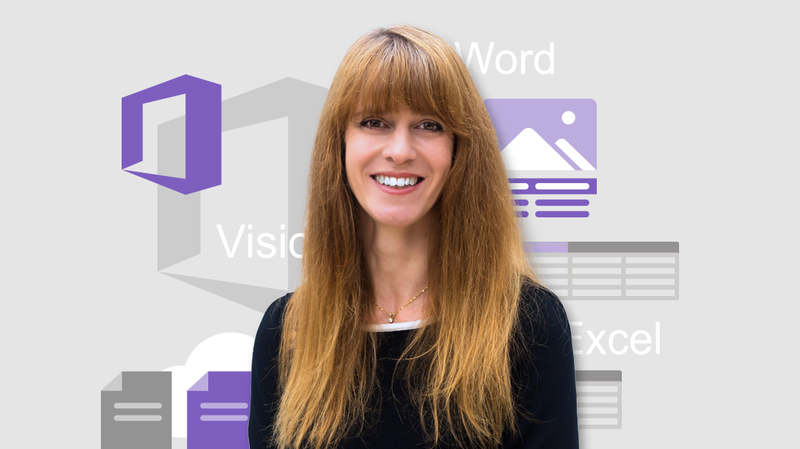 Simona Millham, one of the latest additions to our group of rock star trainers, recently completed her first course, What’s New in Office 2016. An Office expert, Millham’s training explores many of the newest additions to Microsoft’s popular suite of programs and tools, including new social tools. We caught up with Simona to learn more about the course, including how you can get the most out of it. Q: Why should companies train their IT professionals in this technology? What value does it have? Office 2016 brings new features, and this training showcases the functionality to enable users to work in new ways — and that means you’ve maximized your investment in Office 2016. Q: From a student-perspective, what did you keep in mind when creating this course? I made sure that I used real-world examples to bring the new functionality to life, and to give students ideas as to how they could use the new features in their day-to-day work. Q: Any out-of-the-box tips for students to get the most out of your course? Enjoy it! Office 2016 rocks! Oh, there are so many possible answers to this. But if I had to pick just one thing, I think users will experience the greatest improvements in collaborative working. Q: What was your favorite Nugget to create? Probably the Social Share Plug-in for PowerPoint. It’s fun to see Microsoft Office getting social! Q: What’s the ONE thing you hope learners take away from this training? Don’t use Office 2016 as if it was an older version of Office. What a waste that would be! Explore and experience the new functionality. Start watching Simona’s course today!